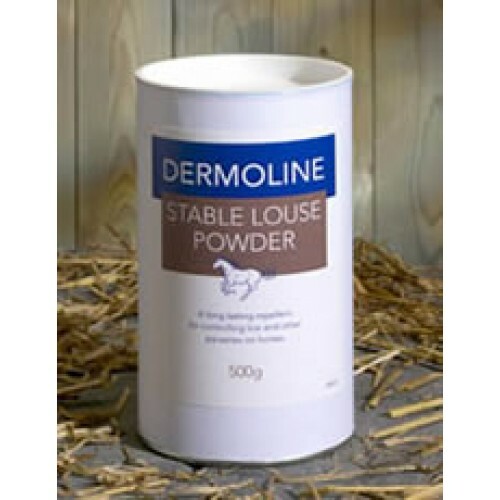 Dermoline Stable Louse Powder has a unique multi-action formula which acts as a rapid and long lasting repellent against lice and other external parasites on horses. Inert finely ground diluent powder blended with p-menthane3,8-diol 0.8%, Sulphur & Rosemary Oil. There are currently no questions for Dermoline Stable Louse Powder - be the first to ask one!